The Discovery Center helps fine motor development, gross motor development, multi-sensory experiences, music and movement, creativity, math, science, and language grow in ways that children will enjoy. These commercial play sets are perfect for day cares or other Child Development Centers. 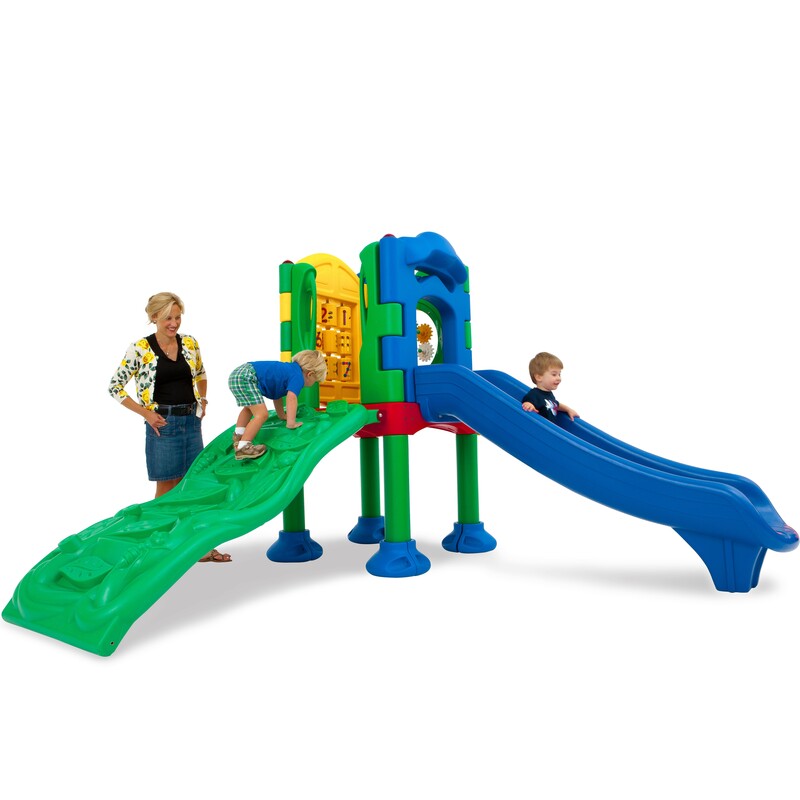 The kids will love playing with their friends on this play set! This play set comes with a straight slide, bongo drums, TouchMath, telescope, clock panel, vine climber, rain wheel, gear panel, and a tree stump climber. Mounting options sold separately.